Our Wiki is an electronic information archive exclusively for our members. For ease of use, members can access the Wiki using the same user name and password which they use for the Membership system and DEMU's Forum. 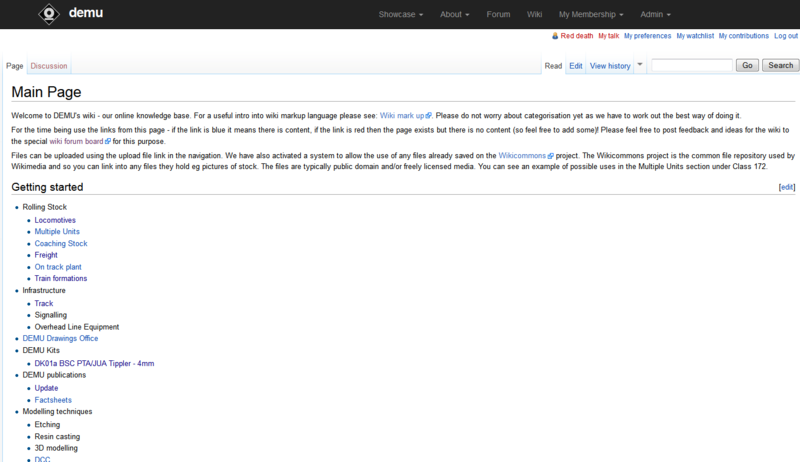 Screenshot of the DEMU Wiki (click on the image to access the Wiki).